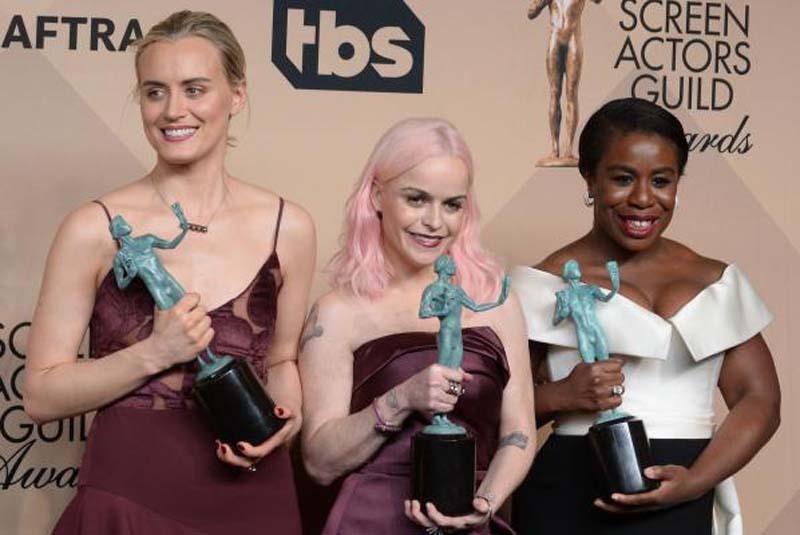 The women of Litchfield Penitentiary are put into maximum security in the new trailer for Season 6 of Netflix's hit prison drama, Orange is the New Black. [post_ads]The clip, released Monday, follows the events of Season 5 where the inmates staged a riot at Litchfield to fight the corruption that was present at the prison. Now Piper (Taylor Schilling), Crazy Eyes (Uzo Aduba), Red (Kate Mulgrew), Taystee (Danielle Brooks) and others, are facing the consequences for the riot in maximum security which includes more dangerous inmates. "It's very different here. These girls are psychos. My bunkie, she does four poops a day," Yael Stone's Lorna says to Piper in the trailer. Each woman is also seen being questioned by authorities about what happened during the riot, offering plea deals in exchange for information that may put their friends in more trouble. Orange is the New Black is set to arrive on Netflix on July 27.